Jawa - I Say Ding Dong Shop - Buy Stickers, Decals & Unique Automobilia. 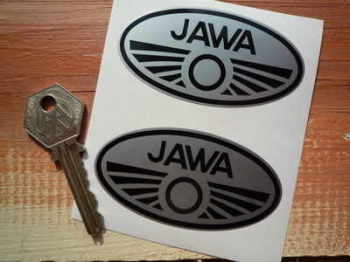 Jawa Black & Silver Oval Stickers. 3" Pair. 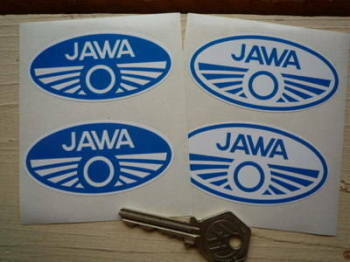 Jawa Blue & White Oval Stickers. 3" Pair. Jawa Border Style Oval Laser Cut Self Adhesive Bike Badge. 1.5". Jawa Chequered Band Style Logo Sticker. 5". Jawa Flames Stickers. 6" Pair. Jawa Oval Logo Style Laser Cut Magnet. 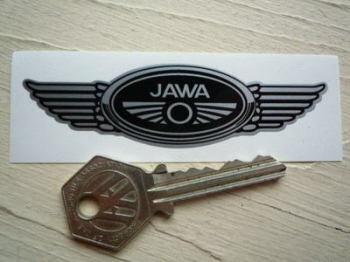 1.25"
Jawa Oval Logo Style Laser Cut Self Adhesive Bike Badges. 30mm Pair. Jawa Red & White Oval Stickers. 4" Pair. 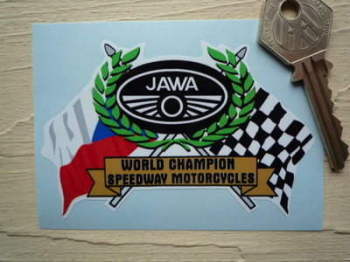 Jawa Speedway Flag & Scroll Sticker. 3.75". Jawa Speedway No. 1 Sticker. 4". 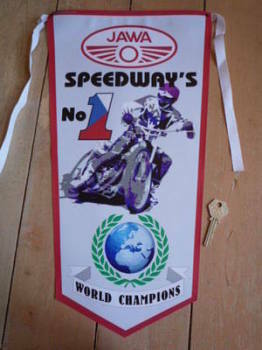 Jawa Speedway's No.1 Banner Pennant. 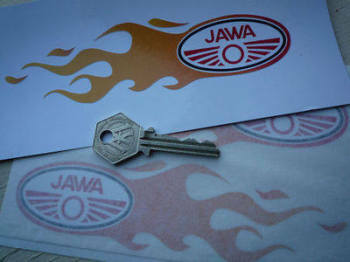 Jawa Winged Logo Style Laser Cut Self Adhesive Bike Badge. 3". 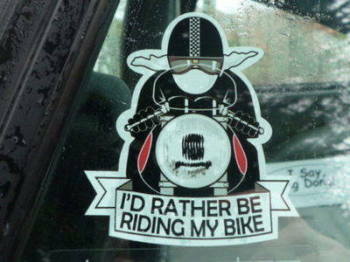 Jawa Winged Motorcycle Helmet Sticker. 3.5".